Helen Smith spent the first 14 years of her childhood as a guest of Lorna Knight, when she grew to appreciate how special Vikingsholm is. 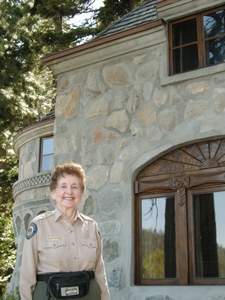 As an adult with a family, she returned in 1969 as a tour guide and Vikingsholm historian. Following the tour, guests will meet in the courtyard where wine and hors d’oeuvres will be served. Smith will present a signed copy of her book “Vikingsholm,” a guide she authored, to every guest. Vikingsholm, constructed in 1929 as a summer home for Mrs. Lorna Knight of Santa Barbara, is considered one of the finest examples of Scandinavian architecture in the United States. Mrs. Knight built the miniature castle or Tea House on Fannette Island during the same time that Vikingsholm was constructed, from 1928-29. Guests and Mrs. Knight would take a motorboat to the island and enjoy a spot of tea. Smith will present a signed copy of her book “Vikingsholm”, a guide she authored, to every guest. Tickets are $65 per person with proceeds earmarked to provide critically needed funds for the maintenance and repair of the Vikingsholm, a replica of a Scandinavian castle (800 A.D.). The building is considered one of the finest examples of Scandinavian architecture in the Western Hemisphere. Guests will meet at the Visitor Center at D.L. Bliss State Park then be escorted to Vikingsholm via carpool at 4:45 p.m. for the two-hour event. 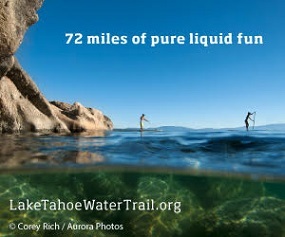 Tahoe is the proud steward of six California State Parks? Each of the six have their own style and allure to match your mood. There’s Donner Memorial State Park , Emerald Bay State Park, D.L. 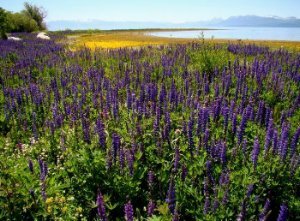 Bliss State Park, Sugar Pine Point State Park, Tahoe State Recreation Area and Washoe Meadows State Park. 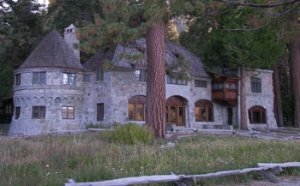 The Sierra State Parks Foundation was founded in 1973 by a dedicated group of Tahoe locals in response to plans to demolish Ehrman Mansion to create more campsites. They’re still around working hard to help preserve our historic sites like the 1916 Rubicon Point Lighthouse located at DL Bliss State Park. They can only make these improvements with our help. Today SSPF has a small staff and a seven-member Board of Directors. They work very closely with the DPR staff of the Sierra District to fund the most tangible aspects of the visitors’ experience in your Sierra District State Parks, from nature talks, history walks and Junior Ranger programs to interpretive and educational programs, and preservation work. Increasing budget cuts and economic instability have made SSPF’s role of supporting association not just helpful, as in the past, but downright critical.